While Oklahoma City’s Devon Energy reported Tuesday it had $1.1 billion in fourth quarter 2018 earnings, it plans to dispose of extensive assets in Canada and the Barnett Shale of North Texas. 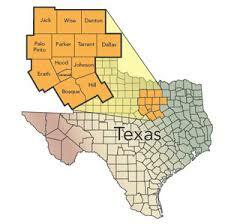 The company expects to complete the separation of its Canadian and Barnett Shale assets by the end of 2019. Devon has hired advisors for each asset, and data rooms for Canada and the Barnett are expected to be open by the second quarter of 2019. 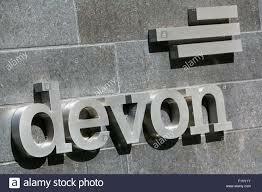 The company anticipates using potential proceeds from the separation of these assets to maintain target debt levels of 1.0-to-1.5 times EBITDA and to continue Devon’s industry-leading share repurchase activity. Devon also announced that its board of directors authorized a $1 billion increase to the company’s previously announced $4 billion share-repurchase program, bringing the total repurchase program to $5 billion. The authorization for the repurchase program expires on Dec. 31, 2019. As of Feb. 18, 2019, Devon had completed $3.4 billion of repurchases under the program, totaling approximately 90 million shares. Additionally, the company’s board of directors approved a 13 percent increase in its quarterly common stock dividend beginning in the second quarter of 2019. The new quarterly dividend rate will be $0.09 per share, compared to the prior quarterly dividend of $0.08 per share. With Devon’s new, narrowed focus as a U.S. oil business, the company is committed to aligning the cost structure by taking steps to deliver at least $780 million in sustainable annual cost savings by 2021. New Devon’s business is characterized by core of the core positions with significant operating scale in four basins: the Delaware, STACK, Powder River and Eagle Ford. In the fourth-quarter of 2018, these assets delivered light-oil production growth of 20 percent year over year, with total production averaging 296,000 oil-equivalent barrels (Boe) per day. With the steps announced today, the company’s highly concentrated U.S. oil business is expected to generate 13 to 18 percent oil growth in 2019, with 10 percent less upstream capital than 2018, and is self-funded at $46 oil prices (assuming flat service and supply pricing relative to 2018).